We have bundled all of our condominium courses in one bundle for you and included two e-books. 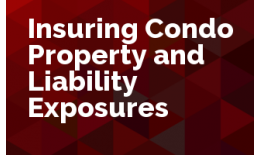 Class #1: Insuring Condo Property and Liability Exposures – In this class, we’ll help you determine the best ways to cover the property and liability exposures common to condominium associations and unit owners. 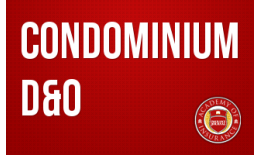 Class #2: Condominium D&O – This class will give you the basics you’ll need to help condominium association boards make wise decisions regarding their D&O coverage. 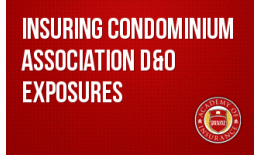 Class #3: Insuring Condominium Association D&O Exposures – Here, we dive deeper into the condominium directors’ and officers’ liability exposures and why the association needs D&O coverage. 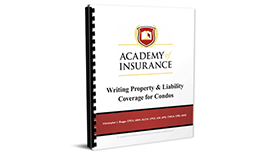 Free e-book included: Writing Property & Liability Coverage for Condos – Since we figure you’ll want a resource that you can take with you everywhere, we want you to have this e-book. It puts in writing the concepts that you heard in the Insuring Condo Property and Liability Exposures class. 2nd Free e-book included: Glossary of Insurance Terms – Even the most seasoned among us have to look up words here and there. We want you to have this e-book in a format that makes it easy for you to use. You can keep it on your form so that when your customer asks you about a word, you can quickly look it up and they’ll know that you know your stuff. 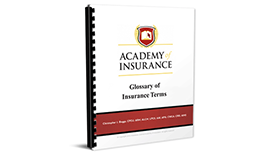 A comprehensive resource of insurance terms and definitions compiled from the Academy of Insurance's five insurance and risk management books. Condominium and other Homeowner Association, no matter what type, need Director & Officer Liability coverage. Unfortunately not all policies are created equal and not all boards feel coverage is necessary. Condominium-style living arrangements create unique insurance problems for both the association and the unit owners. This book teaches the two questions that must be answered to correctly insure the real property. Whether you sell or service Homeowners Associations or just serve on your condominiums board you will find this webinar informative. Learn the key issues regarding the insuring of condominiums to avoid holes in either the association's or unit owner's coverage.